The Mobile Malaria Project is fortunate and grateful to have sponsorship and support from the following partners. Since 1948 Land Rover has been manufacturing authentic 4x4s that represent true breadth of capability across the model range. Discovery, Discovery Sport, Range Rover, Range Rover Sport and Range Rover Evoque each define the world’s 4×4 sectors. 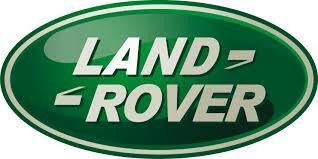 Land Rover products are currently sold in around 180 global markets. DB Schenker is one of the world’s leading global logistics providers — supporting industry and trade in the global exchange of goods through land transport, worldwide air and ocean freight, contract logistics and supply chain management. Integrated logistics resides at the world’s most important intersections, where the flow of goods creates an effective link between carriers. Their value-added services ensure the flow of goods continues seamlessly and supply chains stay lean and optimized for success. Our business holds top positions in automotive, technology, consumer goods, trade fair logistics, special transports, and special events logistics. The Big Data Institute is located in the Li Ka Shing Centre for Health Informatics and Discovery at the University of Oxford. 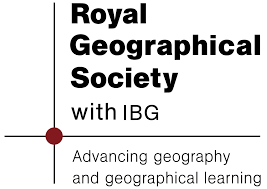 It is an interdisciplinary research centre that focuses on the analysis of large, complex data sets for research into the causes, consequences, prevention and treatment of disease. Research is conducted in areas such as genomics, population health, infectious disease surveillance and the development of new analytic methods. The Big Data Institute is supported by funding from the Medical Research Council, the UK Research Partnership Investment Fund, the National Institute for Health Research Oxford Biomedical Research Centre, and philanthropic donations from the Li Ka Shing and Robertson Foundations. Kathmandu is an inspirational iconic brand synonymous with adventure, innovation and passion. Their core purpose is to ‘inspire and enable people to live their dreams of travel and adventure’. They act with people and the planet in mind – from the creative minds of their designers, to the careful hands of our suppliers, to the backs of their customers all around the world. They believe that adventure begins when you pack your bag. what3words is the simplest way to talk about location. It has divided the world into 3m x 3m squares, each with a unique 3 word address. This means that you can refer to any precise location using 3 simple words. The technology is available in a free app and mapsite at map.what3words.com what3words is used by businesses, governments and NGOs the world over, for example to address a refugee settlement in Uganda, to deliver aid and response during disasters and emergencies, and to improve the distribution of medical services in remote communities. Its partners include the United Nations, Red Cross, Jaguar Land Rover, Lonely Planet, DB Schenker and Mercedes-Benz. We live in a DNA world. DNA science helps develop new medicines, improve crops, solve crimes, and inform our medical choices. miniPCR believe in every person having access to DNA technologies. miniPCR opens the world of DNA science for everyone, everywhere. Marloe Watch Company is an independent designer and producer of wrist watches based in Oxfordshire, England, created to reinvigorate the world of mechanical timepieces. They aim to create watches that are robust enough to withstand the daily rigours of the modern traveller and elegant enough for the urban adventurer. So as you bustle through the daily commute or trek over the next peak, they’re ready to serve.